We genuinely care about our customer's healthy lifestyles, and offer a variety of healthy options to choose from. We offer delicious, hot, high quality noodle bowls in heaping proportions that are prepared in view for customers to see. We use only the freshest ingredients in all of our dishes. The veggies are so fresh you can hear the crispy crunch with every bite. Once you try our food, you are hooked. We serve fast, fresh, authentic Japanese Food. 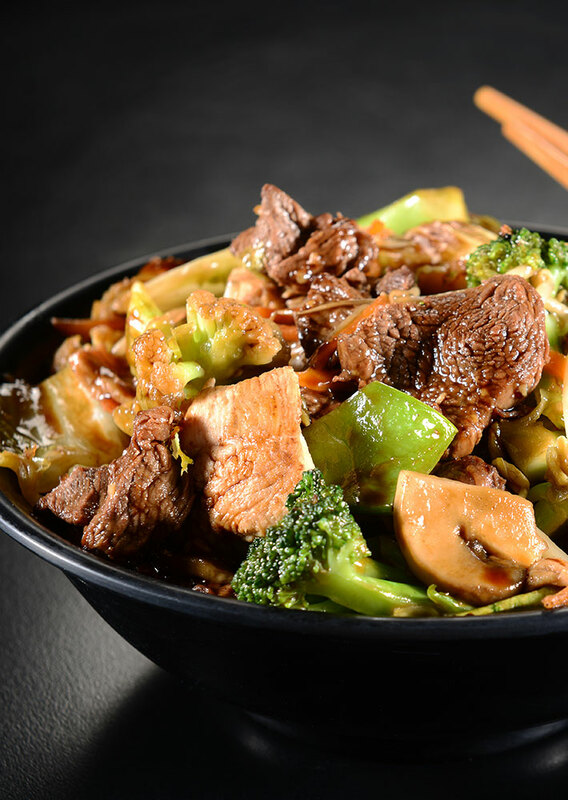 From soups and salads, hibachi chicken, steak and seafood, to fried rice, noodle bowls and Yakisoba. Build your own from the best ingredients we have to offer or take our advice and order from our menu that has traditional Japanese and Thai dishes. Healthy, fast and convenient.